"The kinetic energy of an object is the extra energy which it possesses due to its motion". 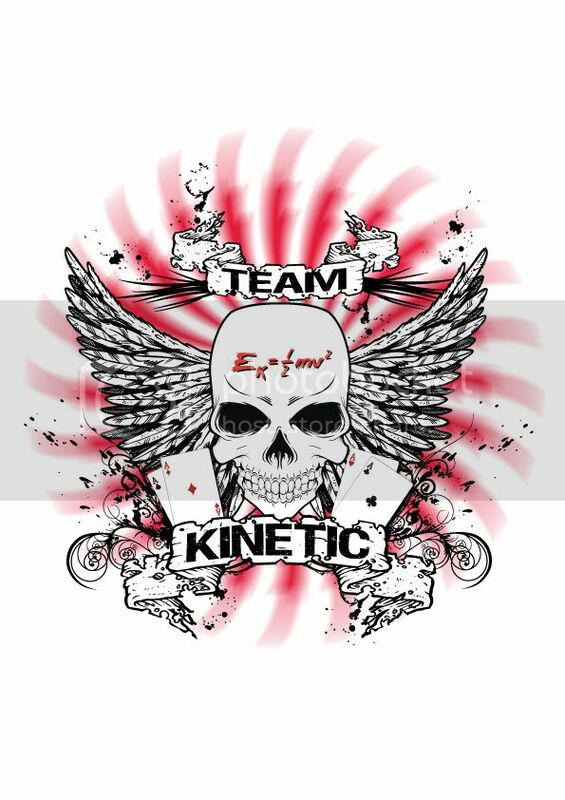 Team Kinetic Pulse is the sister team to our Div 2 squad. We are a group of experienced tourney players who can mix it with best of them and always up for a laugh. Ripping it up this year with the amazing Ego10 and GEO, matched with Draxxus Paint, the best out there. Risen out of the Unknown's Ashes in 2008. Years of playing experience mixed with some young killer ballers under the the Team name of Team Kinetic. One of the oldest players in the NSPL and still teaching the young uns a thing or Two! Been holding the back line for years now for both the Unknown and now Kinetic.